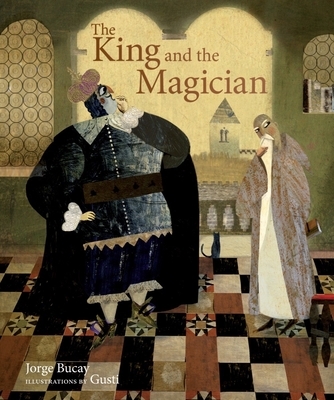 In this beautifully illustrated story with a timeless message, a feared and cruel king learns of a wise magician in his kingdom who is rumored to be even more powerful than himself. The magician can predict the future, and even worse, he is more popular than the fearsome king. Jealous and insecure, the enraged king plots to destroy this "enemy." But, being a magician, he has a trick up his sleeve that saves his own life and the king's. Jorge Bucay grew up in Buenos Aires, Argentina. Now a doctor and writer, he previously held many jobs, including taxi driver, clown, and street vendor. He has written more than twenty successful books that have been translated into over twenty languages, including English, Chinese, Polish, Greek, Russian, and Hebrew. Jorge has memorized more than 1,500 stories that he loves to tell to audiences around the world. Gusti was born in Buenos Aires, Argentina, with a pencil in his hand, according to his mother. In 1985, he moved to Barcelona, Spain, where he works as an illustrator. He has won many awards for his illustrations and teaches drawing at schools, libraries, and cultural centers.